Following the release of 2016’s “King of Everything”, and the reissue of their groundbreaking second album “Cloud Factory” (2014) on Napalm Records, and touring in support of Arch Enemy. 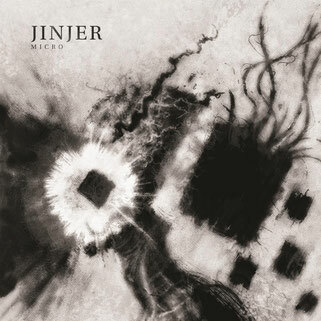 Devildriver, and Cradle of Filth, Ukrainian metal band Jinjer have released a brand new 5 track EP entitled “Micro”, on January 11, 2019! And indeed, it is quite a monster of an EP – high-energy, dynamic, and rather emotional from start to finish. Opening the EP on a very intense note is “Ape”, a song that will get the blood pumping and the head banging from the first couple of notes, with gritty guitar work from Roman Ibramkhalilov, fierce bass lines coming from Eugene Kostyuk, and pounding drums courtesy of Vladislav Ulasevish, but with a playful and catchy melody nonetheless. As always Tatiana is navigating these tumultuous waters and delivering the verses with equal parts elegance and violence. Lyric-wise, it’s about evolution and the apparition of ‘Mr. Know-it-all’, the human being and the interplay between harsh and clean vocals gives the story more depth. The bass, guitar, and drum attack continues and intensifies on the next track, “Dreadful moments”, the heaviest and darkest song on the EP. It deals with something we can all relate to, as we all go through ‘dreadful moments’ (child abuse and emotional neglect) in the course of our childhood. Tatiana’s vocal acrobatics are on a new level, as she goes from harsh, to growls to beautiful cleans, with ease, while also adding a fair amount of emotion to the lyrics, especially during the more mellow parts. “Teacher, teacher” starts with some verses that seem to be somewhat rap-oriented, but soon the fast-paced guitars and growls kick in, making it another headbanger. Again Tatiana uses her vocal skills to punctuate key moments of the song, while also working perfectly with the powerful backing instrumental. I love the way it ebbs and flows and just builds momentum to explode in a fury of drums and guitars. Lyric-wise it’s about the (religious) education system and its how it works to indoctrinate the youth, hence it comes with a warning: “Don't let the school make a fool of you because your teachers may be fools too”. “Perennial” is the most melodic song on the EP and I just enjoy the smooth way in which it transitions between mellow, ethereal moments, to heavy, guitar-driven parts, while also retaining the flow of the melody. It’s a real rollercoaster both lyrically as well as musically. And Tatiana really showcases her versatility and vocal prowess here, going from soft, whisper-like vocals, to growls, and super belting. This is “Pisces”, or better yet, “I Speak Astronomy” in overdrive, and I can’t help but love it. The EP closes with the short and sweet instrumental piece “Micro”, which has some pretty groovy guitar work. 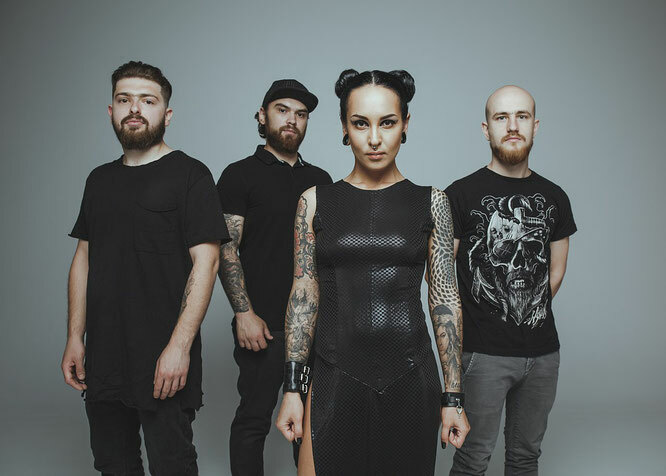 All in all, this well-crafted EP is everything you wanted or expected from Jinjer and more, and I am sure it will cement their status as a creative and unique metal act. It has a beautiful flow to the music and a neat balance between aggressiveness and melody that will make you wish it was longer (at least, I wish that). This is the sound of a mature band, confident in their skill-set and ready to conquer the world.